Becoming a certified teacher in Oregon is a great choice for a profession. Year after year, teachers have the power to positively impact the future. Every state has different requirements for becoming a certified teacher. The following steps will help you become a teacher in the great state of Oregon. One of the most important decisions you must make is deciding on the area you want to teach. Do you have a specialty in a specific area of education? For example, do you have a passion for Language Arts or Physical Education? If so, you should consider teaching high school or middle school. If you prefer to work with younger students on a variety of fundamental subjects, you can consider teaching elementary school. Some requirements vary depending on the area you decide to teach. The Oregon Department of Education has information about actual teachers, students, and districts, which could help you make your decision. In order to become a certified teacher in Oregon, you must possess a minimum of a Bachelor's Degree from an accredited college or university. In addition, you will need to complete a teacher preparation program that is approved by the state board. Deciding on an area to teach in step one is important because the program will strongly focus on the area of certification you seek. If you do not have a Bachelor's Degree yet, you will most likely be able to take part in a joint program, which is great! A joint program basically blends together all the coursework you need for a Bachelor's Degree as well as a teacher preparation program. In order to receive traditional teaching licensure in the state of Oregon, you must complete an accredited teacher preparation program. As long as the program is accredited, the teacher preparation programs can be completed online or on-site. Teacher preparation programs typically consist of two main elements: college coursework and fieldwork. Your college courses will cover topics such as subject-based teaching methods, differentiated instruction strategies, integration of technology, and more. The fieldwork aspect of the program usually includes classroom observations, student teaching under the guidance of a licensed teacher, and/or internships. Student teachers have the opportunity to lead a real classroom under the supervision of a master teacher. During your time as a student teacher, you will prepare lessons, implement those lessons, monitor classroom discipline, grade assignments, and often communicate with parents. Each of the above mentioned areas must be mastered in order to successfully complete a teacher preparation program. As mentioned earlier, if you do not yet have a Bachelor's Degree, there is a great possibility that you can blend together your Bachelor's Degree and teacher preparation requirements. If you find that you already possess a Bachelor's Degree in an unrelated field, you can still complete a post-baccalaureate or alternative teacher preparation program. This route will still eventually lead to a teaching license in the state of Oregon. Many colleges and universities even offer joint Master's Degree programs. There are three types of alternative licenses in Oregon if the traditional routes do not apply to you. The Restricted Transitional Teaching License is for individuals who are making a mid-career change. For example, this license can be issued to individuals who are attorneys wishing to become Social Studies teachers or engineers who wish to become Mathematics or Science teachers. For this route, applicants must have a Bachelor's Degree and expertise in the subject-matter they wish to teach. In addition, a school district must sponsor you and provide a mentor. While teaching, the individual must enroll in a teacher preparation program before the expiration of the first year of the license. The Limited Teaching License is for individuals who have special expertise in a subject area which is usually a subset of a larger endorsement area. This type of limited license is often issued in areas such as choir, drawing, jazz, swimming, etc. For this limited license, applicants must have at least an Associate's Degree and a mentor from a school district. The Career & Technical Education I Teaching License allows individuals from an industry to instruct in an Oregon Department of Education (ODE) - approved career and technical education program. Individuals who apply for this license have to pass an exam by an Instructor Appraisal Committee. In addition, individuals must have sufficient industry experience and an Associate's Degree at a minimum. Some waivers for work experience or degree may be available to you with approval by the ODE. There are tests that teaching candidates in Oregon must pass before becoming credentialed to teach, a Civil Rights Exam, a Basic Skills Exam, and a Subject Mastery Exam. The Basic Skills Exam is a test that assesses your understanding in basic reading, writing, and mathematics. It is normally fulfilled by passing one of the following tests: (1) ORELA: Essential Academic Skills (EAS) Exam; or (2) Praxis: Core Academic Skills for Educators; Reading (5712), Writing (5722), and Mathematics (5732). The Subject Matter Exam must be passed in the area specific to your license or endorsement. This requirement is usually fulfilled by passing the ORELA exam in your area. Before you take any test, it is important that you check to be sure that you are taking the correct test with the appropriate testing company. You can ask a school or program dvisor in order to find out specific requirements for your licensure area. The table below lists the number of public school teachers in Oregon by grade level during the 2012-2013 school year. There are more than 400 private schools with an estimated 3,400 private school teachers in Oregon. The table below details the number of teachers by grade level during the 2011-2012 school year. "The Oregon Department of Education fosters excellence for every learner through innovation, collaboration, leadership, and service". With that said, after completing the above steps, you will be ready to put your best practice forward and begin your career as a teacher in Oregon! Like much of the rest of the country, Oregon has a high need for teachers who are qualified to instruct students in math, foreign languages, sciences, and special education. Teaching jobs are posted online through the state Department of Education's Human Resources portal. Interested applicants can apply electronically. Once hired, teachers typically join a teacher's labor union in order to lend their individual voice to legal, political, and professional decisions made at a district, state, and national level. In Oregon, teachers may join the Oregon Education Association (OEA) or the Oregon State Education Association (NEA). Finally, teachers who are public employees have mandatory contributions throughout their career to the Oregon Public Service Retirement Plan (OPSRP). Upon retirement, the OPSRP grants a monthly annuity, commonly called a pension, to retirees or their surviving spouses. Applicants looking outside the state's public education system are encouraged to apply to any of the 502 private schools across the Oregon. Servicing about 58,000 students, these schools have an average student to teacher ratio of 12:1. Approximately half have of the schools have a religious affiliation and some are gender segregated. Other private schools may have a mandate of academic excellence. Those who wish to seek employment in a private school should apply directly to the school. While new teacher orientation and mentorship is a valuable part of teacher education, this process actually marks the start of a teacher's long-term commitment to bettering their practice through professional development. Opportunities for professional development vary wildly in scope, quality, and information. However, one thing is clear - engaging in professional development means that a teacher boosts student achievement, and achieves salary and career goals more effectively. Some valuable kinds of professional development offerings are as follows: mentoring for new teachers by those with more experience in the classroom, special education, administration, classroom management, and curriculum. 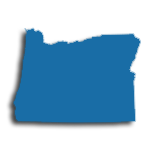 Oregon's state Department of Education lists a number of professional development opportunities across the state and provides resource documents and mandates regarding PD as a means to school, district, and state improvement of educational goals and needs. In addition to this information, the database lists a number of partners for professional development purposes. Teachers are encouraged to contact these organizations as needed: Mentoring Educators, Chalkboard, Stand for Children, Oregon DATA Project, ReadOregon, and The Teaching Learning Connection (TLC). 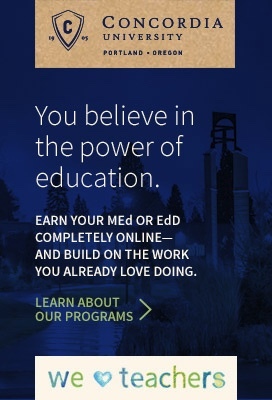 While a master's degree is not required to teach in Oregon, if you're interested in advancing your career, boosting your paycheck, and meeting continuing education requirements, a master's degree is a sure bet. Your Preliminary Teaching License is valid for three years and is renewable. You can advance to a Professional Teaching License once you have four years of full-time experience and have completed 75 continuing professional development units (PDUs). You'll then maintain the Professional Teaching License by completing 125 PDUs every five years. Learn more from the Oregon Teacher Standards and Practices Commission about license requirements and renewal here. While you can satisfy the required PDUs through the completion of a number of activities, pursue your master's degree and you'll be able to satisfy the requirements for one licensure cycle after completing just one course if you currently hold the Preliminary Teaching License, or two courses if you currently hold a Professional Teaching License (1 semester hour of college credit = 30 PDUs). You'll also qualify for a larger paycheck with the addition of a master's degree. For example, teachers in the Eugene School District earn a minimum salary of $37,715 with a bachelor's degree, while teachers with a master's degree earn a minimum salary of $42,058 - a significant increase of about $4,000.